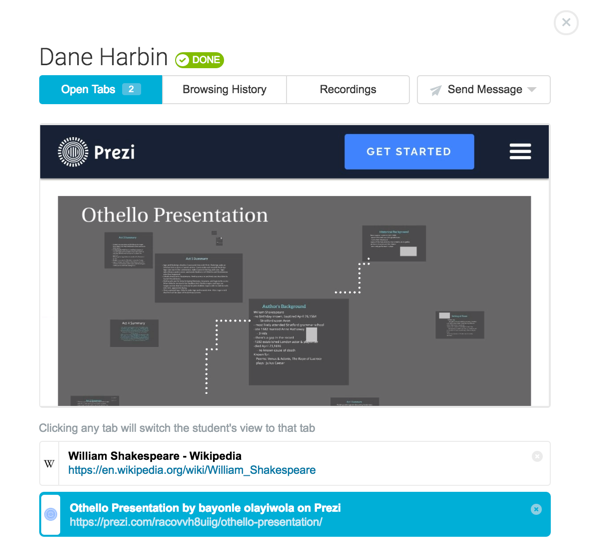 Relay Classroom is the newest version of Classroom Orchestrator with an updated interface and new features. With the changes to the interface, the way you access some features has changed. Here you’ll find how to access Classroom Orchestrator features in the new Relay Classroom interface. 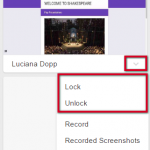 You can lock or unlock an individual student’s screen by clicking on any student’s name in the active list. 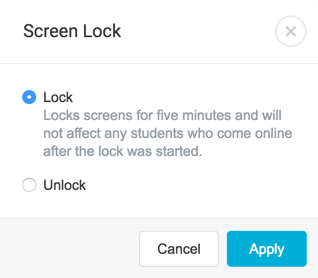 In the Open Tabs tab of the Student Information window, hover over the current tab image and click the Lock Screen or Unlock Screen icon. 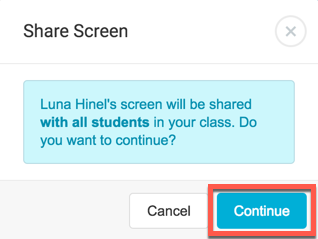 In Orchestrator, you could share links with your students from the options drop-down menu. 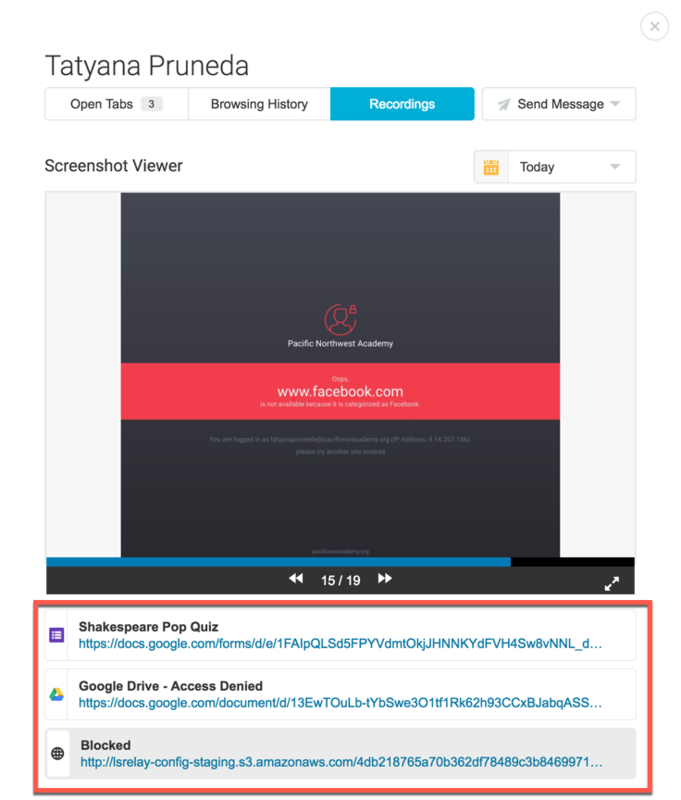 In Classroom, you can share a link by clicking on the Share Item icon and entering a link in the Share a Link field. Then, click the arrow to send the link to your students. In Orchestrator, student screens were on the main page. 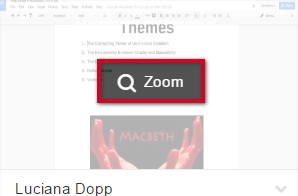 You could zoom in on a single student by clicking zoom on the student’s thumbnail. In Classroom, to view your students’ screens make sure you’re in Heatmap View by clicking the Heatmap View icon. Then, hover over any student’s initials and click on the screen icon to change the initials to an active thumbnail view of that student’s current screen. Or, click Show All Screens to change all active students’ initials to screen thumbnails. When you click on a student’s initials or screen preview, the Student Information window opens to the Open Tabs list. Here you can see a zoomed in view of the student’s screen. 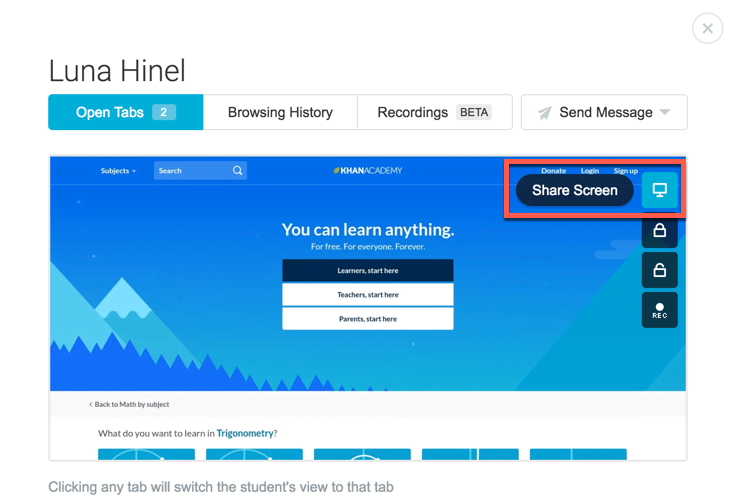 In Orchestrator, you could zoom in on students to view active tabs. You could close the tab by clicking the “x” next to the tab. In Classroom, you can view a student’s open tabs by clicking a student’s name in the Student List to open the Student Information window. The window opens to the Open Tabs tab. 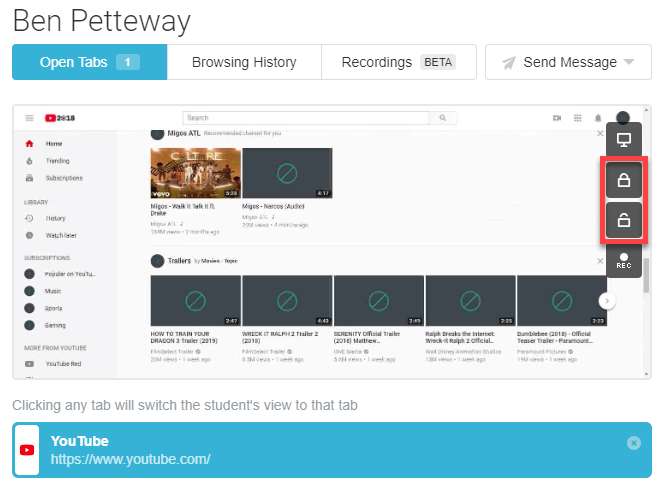 This tab provides a preview of the tab the student is currently viewing (highlighted in blue in the tab list). Click on the site name to open that tab in the student’s browser, or click the URL to open the site in a tab on your browser. 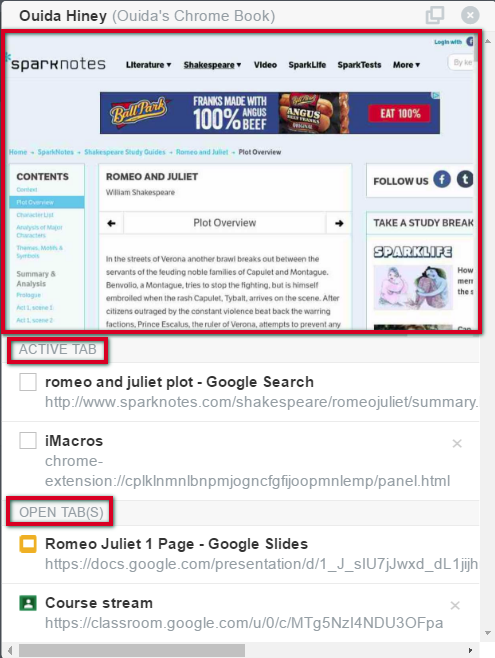 Close any tab on the student’s browser by clicking the small “X” in the tab list. 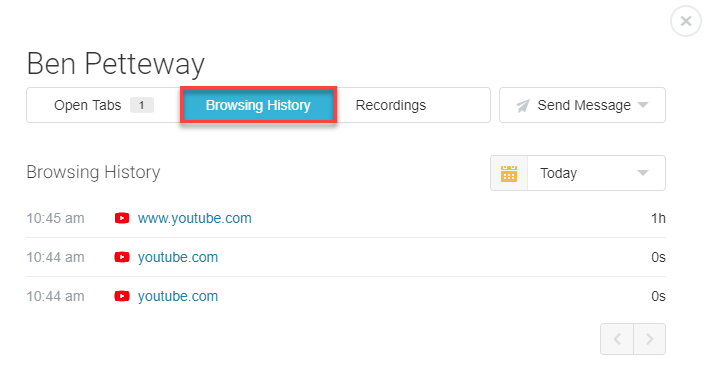 In Orchestrator, you could view a student’s browsing history by clicking URL history in the student’s drop-down menu. In Classroom, you can view a student’s browsing history by clicking a student’s name in the Student List to open the Student Information window and click the Browsing History tab. Here you can see the websites the student has visited. Click the calendar icon to open the date drop-menu to view the student’s browsing history for a specific date. 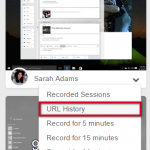 In Orchestrator, you could record a student’s screen from the student’s drop-down menu. 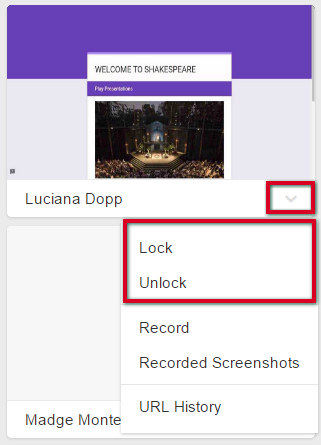 In Classroom, you can record a student’s screen by clicking a student’s name in the Student List to open the Student Information window. 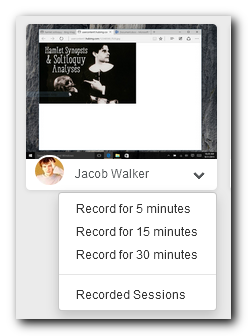 Hover over the student’s screen and click the Record icon. This records the student’s screen for 10 minutes. 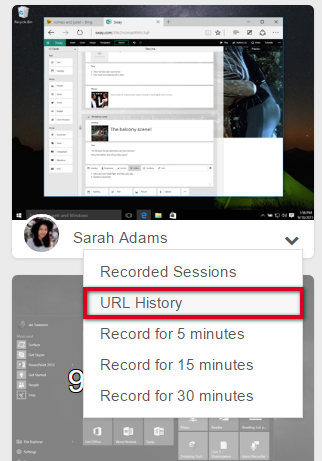 You can view the recording from the Recordings tab. 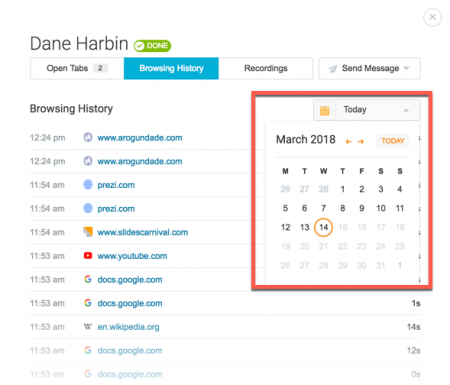 Each recording provides a list of tabs and URLs opened at the time of the screenshot (the current screenshot’s URL will be highlighted in grey). 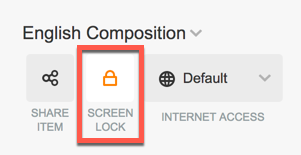 In Orchestrator, you could broadcast screens in a variety of ways. 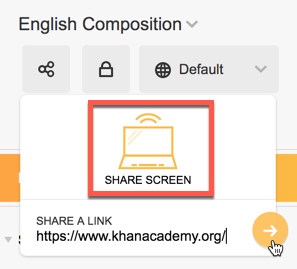 In Classroom, you can share your screen with students by clicking the Share Item icon then click the Share Screen icon. 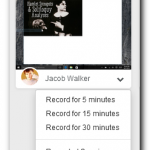 You can also share student screens with the rest of the class. Click on the student’s name to open their Student Information window. On the Open Tabs page, hover over the tab-preview and click on the Share Screen icon. Click Continue when prompted in the Share Screen confirmation window. To stop sharing your screen (or a student’s screen) click the red square in the lower-right corner of the Classroom interface.